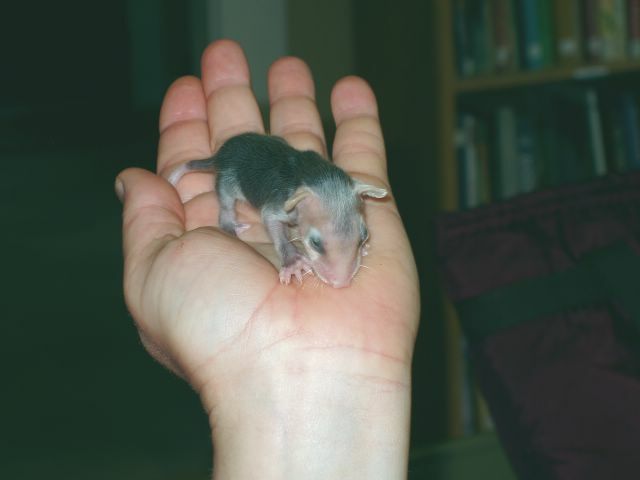 Opossums are North America's only marsupial, young carried in a pouch like kangaroos and koala bears! An opossum hit by a car may have babies, like this one, in a pouch. SF ROMP volunteers give babies like this a second chance at life.